Schrock Innovations is sponsoring this year’s Lincoln America Recycles Day Celebration by donating a new $1,300 Modular Computer to one lucky winner. There are some really great prizes, and you can enter as a business or as an individual. 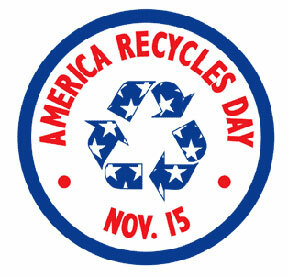 The City Recycling Office encourages the public to participate in America Recycles Day November 15, an effort to encourage recycling and the purchasing of recycled products. Residents have the opportunity to make a pledge to improve their recycling efforts and to participate in several special events. free Panera Bread for one year. The pledge drive runs through Sunday, November 8. Prizes will be awarded at noon Saturday, November 14 at EcoStores Nebraska, 530 W. “P” St. Pledge boxes are located at Russ’s Markets, Lincoln City Libraries and select recyclers. Pledge forms and more information about America Recycles Day also are available online at lincoln.ne.gov (keyword: ARD). A free tire collection will take place from 7 a.m. to 8 p.m. Saturday, November 7 and Sunday, November 8 at N.W. 38th Street and West Webster Road. The collection is sponsored by the Emerald Sanitary Improvement District and funded by the Nebraska Department of Environmental Quality. EcoStores Nebraska will host a usable latex paint exchange from 8 a.m. to noon Saturday, November 14. Usable paint is free, and $2 is charged for disposal of unusable paint. Paper shredding and electronic equipment recycling events are also being planned. Locations, times and fees will be announced at a later date. Good job sponsoring this event. I’m surprised we don’t have a national recycling day here in Canada. Maybe we do and I just don’t know about it. People need to be aware of how much recycling can help the environment. Congrats on that action ! I agree with you in the recycling problem : not only people could really help the environment, but could reduce the massive waste of matter and energy. sorry the comeback, but forgot to mention it would really help a “recycling day” anywhere in the world or make it a global thing.